One of the fastest growing employment opportunities is in the field of transcription. Transcriptionists can make money transcribing online everything from legal depositions to YouTube videos. Companies in the legal, medical, media and entertainment industries hire transcriptionists on a regular basis to transfer their digital copy into written documents. The goal is having their material in a variety of formats so that it can be used in many different ways. These are only a few jobs that transcriptionists can perform to make money online. The opportunities are extensive in each particular field. Each field offers its own distinct benefits and choosing to specialize in one or more of them can bring you enough business that will allow you to schedule yourself however you would like. 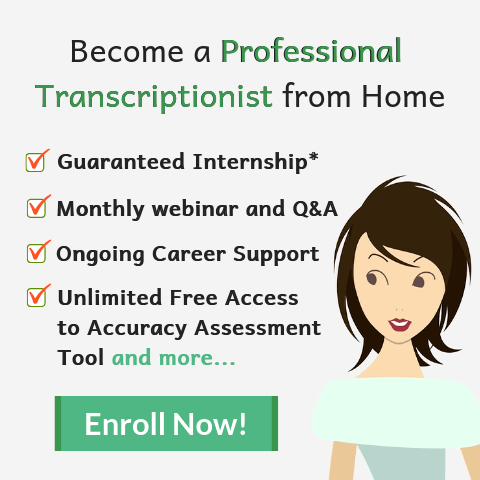 You can learn more about getting a transcription job from home here. If you want to become a transcriptionist and make money online, your first step is finding a training program that will teach you what you need to know. While you can learn the basics on your own, going through an accredited training program allows you the opportunity to learn many different facets of the business. When you have professional training, you can offer specialized services that are required by each field. For example, with proper training, you can basically write your own ticket when it comes to working as a court reporter. You can choose to work in a courtroom setting, or, if you prefer, you can choose to work from home transcribing depositions and acting as a videographer/transcriptionist for a number of attorneys. How to Pursue a Career in Transcription? 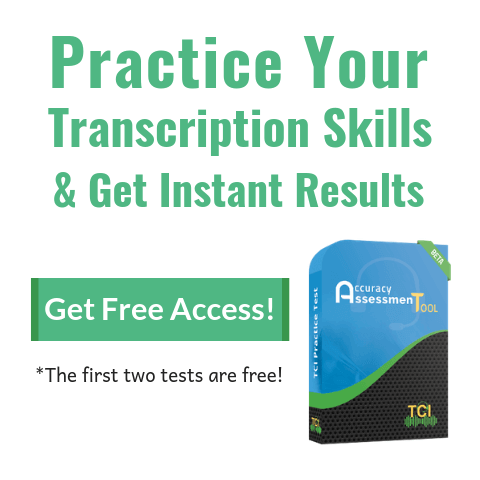 You can find transcription training programs online or at colleges and universities across the country. Many people who have chosen to pursue a career in transcription, attended an online school while they still worked at a different job. This allowed them to care for their families while learning a new skill to create a better future for themselves. Training programs can be completed in as little as four months while other, more in-depth courses, can last up to a year. No matter what program you choose, you will learn the basics and advance to a point where you can begin to choose which area you would like to specialize in. If you choose to specialize in either the medical or legal field, you may want to continue your education taking classes in terminology, ethics, or business administration to help you achieve the level of professionalism you desire. How Much Money Can You Make by Transcribing? A transcriptionist can normally expect to make .5 to .7 cents per word, depending on their skill level. Someone who works a conventional 40-hour week can make anywhere from $30,000 to $37,000 per year. It's up to you how much you choose to earn. You can work 20 hours a week or 60 hours a week. The end result will depend on the time you put into the job. Companies who like your work will continue to provide you with as much work as you can handle. Most attorneys and physicians normally choose to stay with one or two individuals once a working relationship has been established. The same is true for the entertainment industry. Once you have proven yourself to be both professional and reliable, the work will continue to come in providing you with the type of lifestyle you've always wanted. You have the choice of making money online transcribing digital media, or you can work in an office environment. If you are lucky enough to be able to do both and work from home part of the time, you will have the best of both worlds with a profession that allows you a wide variety of opportunities. You can set your own schedule and choose the amount of work you want to take on each week. This gives you time to spend with family and also time to allow yourself to relax and enjoy life. As a professional transcriptionist, you can create a home-based business that allows you to achieve your financial goals and make a name for yourself in an ever-growing industry. 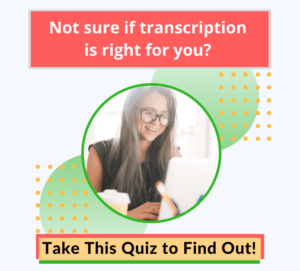 Take an opportunity to learn what options are available to you in the field of transcription. Once you know what's out there, you will be able to choose a career that provides you with the financial means to create the type of life you've always dreamed of.